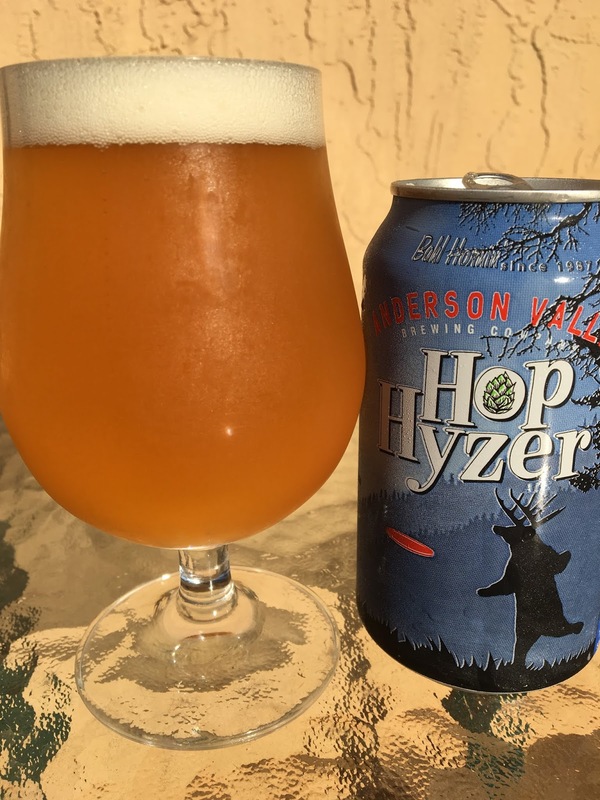 Anderson Valley's Hop Hyzer is up for today. Pretty sure this is a pale ale. Their website explains the artwork, noting the brewery's affection for Disc Golf. 4.9% alcohol. 40 IBU. Tangy, fruity aroma. Tangy orange citrus flavors show some light bitterness. A little twang and zesty zing. Very easy drinker, super pleasant flavors.